Typical architecture and decoration of antique Byzantine Christian temple. World and historical heritage. Tourist destination and sight of Bulgaria. 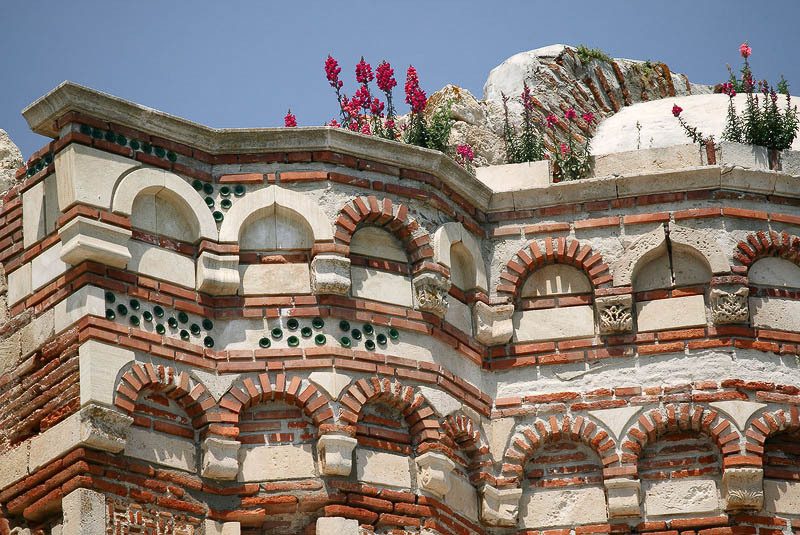 Old Nessebar landmark. Ruins of wall with architectural details from ancient Byzantine masonry. Beautiful facade with decorative arches from white marble and red ceramic bricks and green round ornaments.